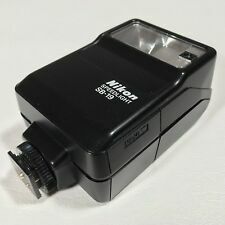 Never Used Nikon SB-15 Speedlight Shoe Mount Camera Flash excellent condition. Batteries not included. Excellent overall condition - I would rate 9/10. Clear lens, clean battery box, smart style. Trending at $21.23eBay determines this price through a machine learned model of the product's sale prices within the last 90 days. Including : T20 And Push Case. Appearance: Excellent condition. Condition: Used Excellent condition A.
Nikon BC-5 Tilting Fan BULB Flash. There is a flash case, a diffuser, and also the instruction manual. No flash is included. Sunpak Auto auto 555 Handle Mount Flash. 3 pc cords. Battery tray. 4.5 out of 5 stars - Sunpak Auto auto 555 Handle Mount Flash with extra cords. 13 product ratings13 product ratings - Sunpak Auto auto 555 Handle Mount Flash with extra cords. 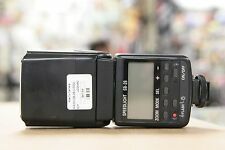 With this Vivitar flash, the user can either work in the automatic mode or work with manual operation. With this shoe-mount flash's manual capability, the user can alter the depth of field in their photographs. Guide Number: 138 (42/m). Hunt's has been trusted choice for 112 years and we have outlasted many competitors, especially in this Internet age. Will work non-TTL auto and manual on most digital SLRs. Model T20. Made in Japan. Operates on 2 AA batteries (not included). Flash and case in excellent condition. Used very little. See photos for condition. Nikon Macro Speedlight SB-29 Ring Light Flash. About 10-14 seconds delay between flash. 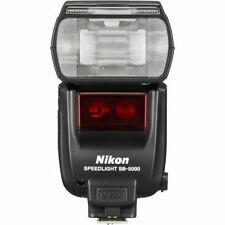 Nikon SB-7 Speedlight Flash. ThisNikon SB-7 Speedlight Flash is in excellent condition in the box with soft case and manual. It's had little use and hardly has a mark on it. It is tested and fully functional. 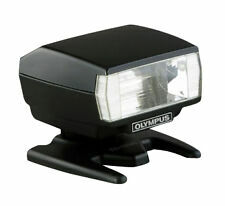 I have personally fully tested it on a Olympus OM-4T and it works great. The flash is in excellent condition with no cracks or breaks and the hot shoe looks perfect. Minolta Auto 200X Flash with diffuser and case. Good condition, works fine. Case is branded "Canon" but it fits perfectly. Trending at $44.97eBay determines this price through a machine learned model of the product's sale prices within the last 90 days. Trending at $64.97eBay determines this price through a machine learned model of the product's sale prices within the last 90 days. Up for sale we have a nice used: Hasselblad Proflash 4504 TTL Flash Check the hi-res photos of the actual item you will receive. Body shows some wear, works perfectly. Includes instruction manual pdf on cd. Features include: 4 choices of flash modes: TTL/OTF functions with correct SCA adapter, auto, manual and winder Can be used with different camera models with an optional SCA Adapter Tilts & swivels for bounce flash options GN 148 11 different exposure/power modes Built-in second flash for front fill-in when main head is bounced Google Cameragraphics and Auburn AL Owned and operated out of Auburn, AL since 1974. The flash is in excellent condition. Fully functional. Minor signs of use. Comes in soft case. ​Please see photos for further detail. Includes everything showed in pictures. If something is not clear please contact us. ​Feel free to ask any questions. Trending at $18.86eBay determines this price through a machine learned model of the product's sale prices within the last 90 days. Canon Speedlite 430ez Shoe Mount Flash. Used once or twice. Brand new and leather case included. Great accessory for any photographer. A ring light is the best source for close up photography. 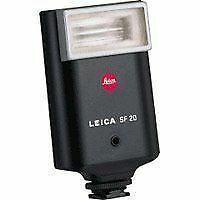 Adding to the versatility of this macro flash unit are four light softening diffuser - translucent, warming, white, blue. It has a power saving LCD screen for longer use. Canon Canolite D Flash for Canonet QL17 GIII. Condition is Used. Shipped with USPS First Class Package. Flash has been tested and works great. Includes black soft case. Requires 2x AA batteries that are NOT included. You are purchasing a Sunpak Power Zoom 4000AF Flash 4000-AF for Nikon. Condition: Very Nice Condition. Appears not to have been used. I did function check and it works. Batteries and instructions not included. Canon Speedlite 199A Shoe Mount Flash for Canon, used, works. Includes diffuser cover and manual. Condition is Used. Shipped with USPS Priority Mail. Hi everyone up for your consideration is my extra Graflex Graflite Flash. Included in the set up is the 3 cell battery case (Cat. The flash is well worn but works great. Great for anyone using a speed or crown pacemaker who wants to dabble with flashbulbs. ). Two new batteries were installed and tested. When you need lighting in a flash, get the Sunpak Auto 522 Thyristor Handle Mount Flash. With this Sunpak flash, forget about any dimly lit areas, or shadowed places anymore. The Sunpak Auto 522 Thyristor Handle Mount Flash with Thyristor instantly lights up the scene. Trending at $24.65eBay determines this price through a machine learned model of the product's sale prices within the last 90 days. Nikon SB-5000. 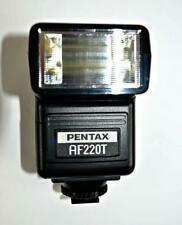 This flash was rarely used, it's in excellent condition with only minor signs of handling. Flash is in 100% working order, all functions works as they should. Body: Scuffs, Scratches, Paint wear or fading of lettering, trace amounts of corrosion. Body: Scuffs, Scratches, Paint wear or fading of lettering, Indentions or microtears in leather coverings, trace amounts of corrosion.